Rose is perhaps most renowned for the Mojito, their flagship earbud that sat atop many multi-earbud comparisons and remains one of the most talked about models in the hobby. However, as we’ve seen from their Mini 2 in-ear, there is more to the company than premium products, they actually make some fantastic budget offerings too. The Masya exemplifies this as a $100 earbud that retains much of the same quality offered by Rose’s higher priced models. It instantly draws numerous parallels to their flagship Mojito with the same delicious house sound, super open form factor and dual dynamic driver setup producing bundles of clarity, resolution and air. And at under half the price, let’s see how the Masya performs. I would like to thank Chi Kong Hui from PenonAudio very much for his quick communication and for providing me with the Masya LE for the purpose of review. All words are my own and there is no monetary incentive for a positive review. Despite receiving the earphones free of cost, I will attempt to be as objective as possible in my evaluation. The Masya has the same unboxing as the BR5 MKII and other Rose products with a hard box that magnetically latches open. The earbuds and foam covers are well presented within a foam inlet with the cables and carrying case within two boxes just below. The Masya comes with an imitation Westone vault case that is just as hardy and portable as the original, it remains one of my favourites on the market. Inside, buyers will find a standard 0.78mm 2-pin cable in addition to a silver plated braided unit should you opt for the limited edition wood grain Masya as I have here. Both cables are excellent in quality and the foams are quite plush. Rose also include a ¼” adaptor should you want to run the Masya from a desktop amplifier. The Masya is another really unique earbud on account of its rather unorthodox dual dynamic driver setup. Its larger, two-step design reminds of vintage technics earbuds; they have a certain retro charm despite epitomizing the contemporary with their advanced innards. And where early units garnered some criticism for their slightly rougher 3D printed housings, newer Masya’s and all Wood Grain units are mass produced, resulting in a much smoother finish and tighter tolerances between each join. The Masya is a well presenting and solid feeling earbud. Their wholly plastic construction may not flatter buyers like the all-metal Ourart and Musicmaker earbuds, but they have no creaks or sharp edges that compromise the experience. Furthermore, the Rose earbuds have a truly unique look and I was lucky enough to receive the limited edition wood variant that only enhances their sculpted styling. Rose are quick to note that the earbuds aren’t employing authentic wood faceplates, rather they are textured plastic, but the effect is very convincing. Some defects were still notable on my unit, most notably, the vent on my right earbud was quite rough, though I didn’t notice any severe acoustic repercussions. The Rose earbuds carry a different style of fit to other earbuds as their large housings don’t permit the same level of depth and stability. Rather, they sit loosely in the outer ear with the inner segment locking behind the tragus. As such, they are incredibly open but when equipped with silicone rings and foams, achieve sufficient seal. However, in terms of comfort, I still wouldn’t consider the Masya to match that of other earbuds with moderate hotspot formation after extended listening. In addition, they protrude too much from the ear to sleep with though their fit was very stable in return. While they are far from uncomfortable, smaller eared listeners may experience difficulties with the Masya. The Masya utilizes a 0.78mm 2-pin removable cable with keyed connectors on the cable itself. The limited edition Masya comes with the same cable included with Rose’s in-ears. It’s a supple braided unit with zero memory and a slightly rubbery texture though it feels well-constructed with low-profile connectors and a well-relieved, case-friendly plug. The Masya LE also comes with the standard Masya cable that is a more standard non-braided cable with a smooth texture and similar terminations. Penon offer the braided unit for an additional $23 so the Masya LE actually makes for a more economical buy at a $20 premium over the standard model. And though the connectors are keyed, the earbuds themselves are usable with any 2-pin cable. Of note, Rose does have some quality control issues with their 2-pin connectors, my left earpiece was reversed so attaching cables with ear guides was not viable, I’m hoping this is case specific. The Masya has an especially balanced sound among earbuds with a tasteful brightness that enhances clarity. Bass doesn’t drive the sound though they are in no way deficient with plenty of impact and presence when called for. And as with other Rose products, mids are the centre of attention with neutral lower frequencies feeding into a more forward upper midrange. Treble is surprisingly present with nice crispness though high-frequencies aren’t overbearing. They aren’t as natural and full as the Shozy earbuds or as laid-back as the 1More E1008, rather, the Masya is sweet, clear and smooth. 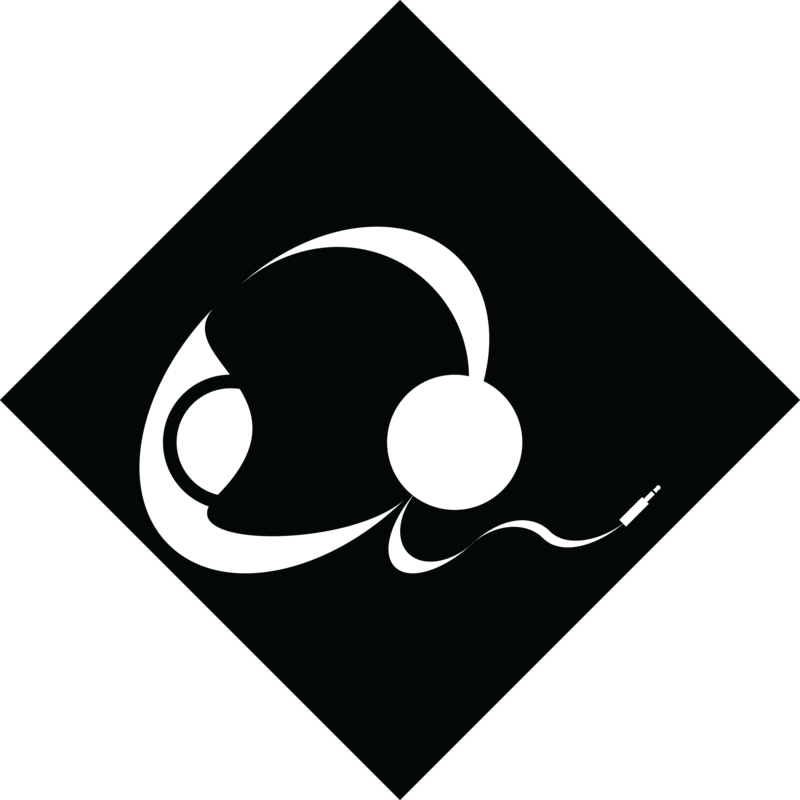 As an earbud, the user is very much responsible for the level of high-frequency dampening through the use of various covers. It’s always about finding a balance between resolution and an agreeable tonality and the Masya was among the trickiest to tame given its more prominent high-end. I ultimately settled on the included silicone covers combined with Hiegi donut foams. The stock full foams didn’t seal as well and sapped too much clarity while the full Hiegi covers were too low-frequency biased. I definitely would not recommend wearing the earbud naked though those with thinner ears may find an optimal experience without the silicone rings. All comments will be with the aforementioned setup. Bass is balanced but rich in tone, their huge 16mm bass driver compensating well for their especially open fit. Through a culmination of their shallow fit depth and some intriguing tuning by Rose, the Masya achieves a very interesting tone that is exceptionally clean, delineated and transparent. Sub-bass has good extension considering their level of seal though some deeper fitting buds like the Shozy BK do offer more impact and slam. However, the Masya reciprocates with one of the tightest bass responses I’ve heard from an earbud, the majority of which pursue a warmer, more analogue tonality. The Masya rather provides a much cleaner, more restrained presentation and decreasing emphasis from 250Hz enables it to avoid mid-bass bloat yet alone muddiness in the lower frequencies. This character is enhanced by the Masya’s bass control and texture. While they don’t have the most defined, immediate bass response due to a focus on the midrange and higher frequencies, the Masya’s weave a coherent presentation through their separation. Listening to Bruno Mar’s “That’s What I Like” and the Masya provided a pleasing sense of air around each bass note where meatier earbuds like the Shozy Cygnus tended to sound more immediate but also more congested by comparison. This tuning does come at the cost of some texture and definition since mids can occasionally overshadow bass, however, once adjusted to their more mid-focussed tuning, the Masya provides a super quick, tight low-end whose lack of bloat is truly refreshing. Their cooler tone contrasts greatly to the more organic tone pursued by the similarly priced Shozy earbuds though their additional clarity and extension prevent them from coming across as congested like the 1More E1008 and Ourart Ti7 occasionally could. The Masya follows Rose’s other models with the same slightly brighter tone and euphoric, clarity focussed tuning. However, what separates them from other clarity boosted earphones/earbuds is their smoothness and refinement; the Masya maintains an incredibly natural vocal presentation and just the right amount of body despite their level of clarity, they are tonally excellent. For instance, even the more expensive Shozy BK fails to match the finesse of the Masya’s midrange, the Rose is appreciably clearer and more extended while the Shozy is fuller and more laid-back. In return, the BK is more natural yet and resolution is actually slightly higher though even that earbud can sound congested and veiled compared to the brighter, clearer and more open Masya. This also gives the Rose an upper hand with poorly mastered albums, energizing them with clarity and space. And tonality aside, the Masya makes the most of its clarity through great resolution and detailing that bring nuances to the fore. They still don’t resolve quite like the better in-ears around this price, but their wide-open stage and airy presentation enhance any song regardless of genre. Most notably, the Masya invigorates tracks such as A-Ha’s “Take On Me” with exquisite space and vocal clarity. Keyboards extend and strings are both crisp and textured. And most notably, each element is wrapped within a delicious sense of smoothness and space due to their exquisite soundstage and separation. The Masya may come off as bright to those accustomed to more laid-back earbuds but such changes always require some adjustment. And coming from similarly priced in-ears, the Masya’s midrange provides a more familiar tuning with dollops of space and air that these sealing models simply can’t match. The Masya has a smooth upper midrange/lower treble transition that contributes to their overall sense of refinement. This opposes the usual lower treble spike of some in-ears that can make them overly aggressive and the more laid-back tuning of a lot of earbuds. The Masya finds a nice balance in terms of high-frequency quantity and emphasis, they compensate for the dampening produced by foam covers while avoiding drowning out higher notes. As such, they are easily one of the most extended, airy earbuds I’ve heard, even besting models costing quite a bit more. They do have a little middle treble bump that enhances shimmer though Rose are tasteful in their sculpting, producing a sound that is slightly on the analytical side but also one that doesn’t encroach upon fatigue or sibilance. And once again, quality really impresses, treble is quite outstanding given that most earbuds really struggle with their high-frequency reproduction. This starts with their detailing which isn’t aggressive by in-ear standards but is very crisp and concise for an earbud. The melodic tones of Eric Clapton’s Unplugged found a great pairing with the Masya whose high-end clarity and air greatly enrich the atmosphere in live recordings. Guitars, in particular, are very well presented and cymbals are accurate in timbre; the Masya avoids the high-end blunting that earbuds like the Cygnus and even BK can suffer from. And while their brighter tones won’t suit every listener, especially since earbuds are designed to be worn for longer periods of time, I found the Masya to have enough restraint to service lengthier listening. They aren’t quite as musical and lush as the BK but they are just as smooth despite their greater clarity. Those looking for a little more nuance and extension within the earbud form factor should definitely look into the Masya. The Masya’s clean, clear presentation and open form factor craft a soundstage that truly excels even amongst earbuds. The Masya is easily one of the most spacious I’ve heard, they are immediately out of the head in terms of both width and depth, even beating out the Ourart Ti7 and 1More E1008. Acoustic, classical and live recordings all benefit greatly from this presentation with great atmosphere and air. This is further accentuated by their excellent separation which eclipses the Shozy and VE earbuds if at the cost of outright coherence. Imaging is the weakest aspect of the Masya’s presentation, their space and more reserved low-end pushing some instruments too far into the distance. Instruments can mostly be pinpointed, but like the Ti7, imaging isn’t overly sharp or precise. That being said, centre image is admirably strong given their profound width and vocals do avoid becoming too dispersed. The Masya has an average sensitivity of 98dB and a lower 12ohm impedance. They aren’t a difficult earbud to drive, on a similar level to the Ourart Ti7, but they do require more volume than the Shozy and Musicmaker earbuds. And despite being a dual driver, they also aren’t overly source picky with nice tonal balance and extension from my HTC 10 and iPod Nano. That being said, my dedicated sources did provide more low-end richness in addition to greater midrange resolution. They also produced a generally smoother, more coherent response. The Shozy Alien+ and Chord Mojo both provided particularly great synergy on account of their refined, slightly full-bodied tones where the more neutral, technical X7 II, didn’t find the same level of musicality. The Masya doesn’t require a dedicated source and is far from the pickiest earbud I’ve tested though it will scale well with a musical DAC/AMP. Ourart Ti7 ($60-90 w/upgrade cable): The Ti7 has a hardier metal build and a generally more comfortable design. Both share a removable cable with the Ourart using a more conventional MMCX unit. The Ourart has a more u-shaped sound with a very thick note presentation that contrasts to the more delicate, clarity driven Masya. Bass is snappier on the Ourart with a very tight sub-bass impact though the Masya is more articulate and much more defined above. Mids are also much clearer and more natural on the Rose where the Ti7 is a bit too thick and distant for my tastes. Treble is more comparable, the Ti7 isn’t as open as the Rose but it is quite clear for an earbud. In fact, the Ti7 is actually slightly clearer within its lower treble though the Masya is more detailed overall with greater extension and air. Both are incredibly spacious though the Ti7 sounds a little distant while the Masya rather sounds airy and delineated. Imaging isn’t spectacular on either though the Masya has a slight edge due to its more balanced tuning. Shozy Cygnus ($90): The smaller Cygnus is more comfortable and its cable, though fixed, is among the best I’ve handled. The Cygnus has a more L-shaped tone compared to the Masya with a greater emphasis on bass, especially mid-bass in addition to fuller lower mids. Bass has more impact and texture on the Cygnus though it has considerably more bloat. With a darker tilt, the Cygnus has a clear but slightly scooped upper midrange that feeds into a slightly more energetic, detailed treble response. The Masya is clearer and more spacious throughout with better separation and similar if not slightly superior resolution. Treble is more extended on the Rose though the Cygnus has a similarly detailed lower-middle treble response. The Cygnus is also the more coherent sounding earbud with superior imaging though its stage is quite intimate for an earbud as opposed to the especially spacious Masya. Shozy BK ($160): The BK fits identically to the Cygnus but has a sturdier 8-core cable (also fixed). It has a more balanced sound than the Cygnus overall though it is less aggressive in its presentation and is still less neutral than the Masya. The very clear Masya makes the BK sound almost veiled though the BK is definitely not a veiled earbud in isolation and is more linear and natural. Bass is more coherent and textured with greater sub-bass extension on the Shozy though both are very clean and defined. Mids are clearer on the Masya but more layered and resolving on the BK due to its superior resolution. The Masya has greater treble extension and air than the BK at the cost of realism and some texture. The BK is more concise and detailed within its upper midrange/lower treble though the highest details are resolved better by the Masya. The BK images well, a lot better than the Masya, though the Rose easily has the more spacious soundstage. Rose impress again with their delicate tuning and innovative if not perfectly refined form factor. The Masya is a handsome earbud with retro undertones that enhance a loose but comfortable design. They aren’t the most coherent sounding earbud and they do have some quality control issues, but none of them affect the listening experience. And once inserted, the Masya’s provide a really exceptional sound that is quite uncommon from the earbud form factor. Bass lovers will want to look more towards the Shozy earbuds but if you’re looking for stunning clarity and awe-inspiring space, the Masya outperforms its asking price. Verdict – 8.5/10, The Masya sounds brilliant and its tonality is both balanced and refined. Their unorthodox fit can be frustrating and Rose’s questionable quality control is something to consider however, once equipped with the right cover, these qualms are quickly whisked away by the Masya’s silky midrange and airy treble response that provide a truly unique in-ear experience. The Rose Masya is available from Penonaudio (International) for $109 USD or $129 for the Wood Grain Limited Version, please see my affiliate link for the most updated pricing, availability and configurations. Can you do a review on Moonbuds Bunting ? Im quite curious about it. It has similar price tag and were often compared to this Rose Masya. I’ll definitely look into that model!